Ehren Watada, a Japanese Hawaiian son of a Japanese American Hawaiian politician, has publicly refused to "participate in an illegal war". He is the first commissioned officer to issue a statement against the war in Iraq on constitutional grounds. Lt Watada’s constitutional action against the Army’s orders is in the spirit of the Nikkei free men of Hawaii who answered the call to volunteer for the all-Nisei 442nd Regimental Combat Team. The men of Hawaii were not under the compulsion of imprisonment with everyone of their race, like the Japanese Americans of the mainland. They weren’t stained with suspicion. They were free men and as free men took their participation in the military as a measure of personal honor. Lt. Watada’s stand on his honor splitting the military from the law over Iraq is one man’s considered opinion. Informing his opinion is sixty years of Japanese Hawaii’s history of keeping the Hawaiian integrity of the 442nd Regimental Combat Team, Hawaiian, (as opposed to the 442nd being a creation of the JACL’s Mike Masaoka and the ten prison camps for mainland Japanese Americans) spits and seethes and flares in Japanese America to this day. The mainland Nisei are known as obedient. They went to camp. No questions asked. The Japanese Hawaiians are stubbon individualists and hostile to the whiff of groupthink. Ehren Watada, having achieved the commissioned rank of First Lieutenant (silver bar), knows the consequences of refusing to obey a lawful military order. He’s playing chicken with his life. Death in Iraq or death in a Federal Pen. Agree with him or not, he's a brave man. And a damn brave First Lieutenant ending his career before achieving magic Major before thirty. 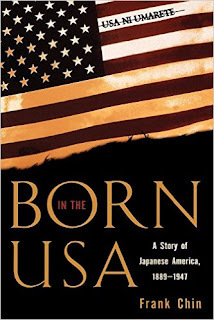 The difference between a Japanese from Hawaii and one from the mainland among Japanese Americans is worth a look at, an examination by the mind of Japanese America at work at in the novels of conscience, and being argued in Asian American magazines, by Asian American critics. Whoops! There are no AA critics, and not one AA magazine. There are no AA publishing companies. The writers that exist are known because of white sponsorship. That's the real world where the AA writer shops himself. All the buyers of yellow writers, actors, and yellow work are white. The yellows are the only American people that don’t buy yellow writers, actors, art, politics or work. That means that every other people: Blacks, Whites (of course), and Browns have critics, magazines, and publishing companies. Only the yellows don’t. Yellow (as used here to mean American-born, English-speaking) newspapers aren’t real newspapers. Why are “Almanac’s” published by newspaper publishers? Every fact of every name, be it a huge nation or a tiny man that appeared in (or should have) in last year’s news is in the Almanac. The people that perform Asian American studies should look over the yellow papers of the last seventy years and record and preserve the degeneration of Asian American newspapers from 1920’s to the desperate cries for help becoming fewer and fewer today. 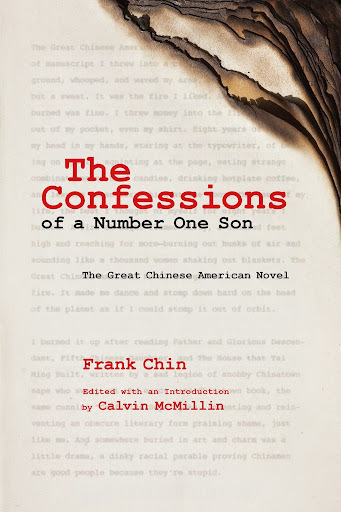 Kai-yu Hsu’s ASIAN-AMERICAN AUTHORS was the first acknowledgement that American born and raised Chinese, had asserted themselves in writing worth reading in the opinion of Dr. Kai yu Hsu (from China) and a scholar in Comp Lit at San Francisco State. He gave Chinese America it’s first fart of existence in the world beyond ourselves. And the response of the yellows polled by the white press is "Why create a prejudice against the immigrants?" They were the life of the fact that China-born were different from American-born. The facts have grown up. 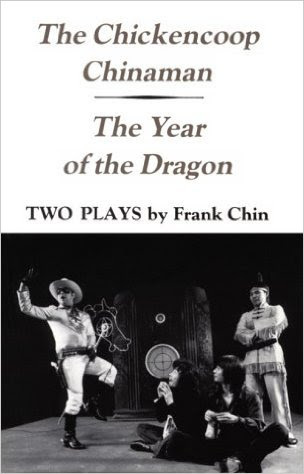 But hark the same yellows as wrote sixty years ago still seem to be writing (with the aid of a western education) the same old Chinese novel for the same old New York publisher. It’s the publisher that buys the novel. And the publisher buys from his almanac. Is that why American born yellows took off to publishing themselves? When the Aiiieeeee! Boys formed CARP PRESS to publish John Okada’s NO-NO BOY distribute the printing of 2,000 through the mail and ads in the spindly Asian American press. I think we went through two or three printings, before giving it to the UW Press as a gift for the U of Washington hiring Shawn Wong to the English Department faculty. Asian American lit- studies should look at privately funded, or the "vanity press" as a force in AA writing. 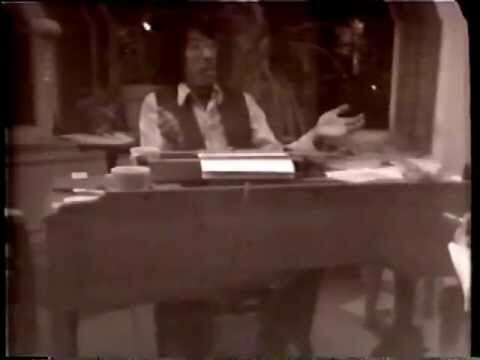 Ed Miyakawa's (?) 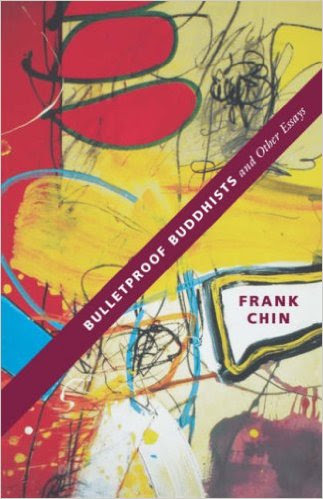 novel TULE LAKE, and Milton Murayama’s ALL I ASKING FOR IS MY BODY, and Bill Hohri's book on the resistance and a novel set in camp all being privately or self-published. Are they good books? Do sales and longevity count? Have they influenced specific language, literature, opinion among AA's? If the AA’s had a magazine that was a weekly or a quarterly survey of what’s what among Japanese and Chinese American reader’s..... 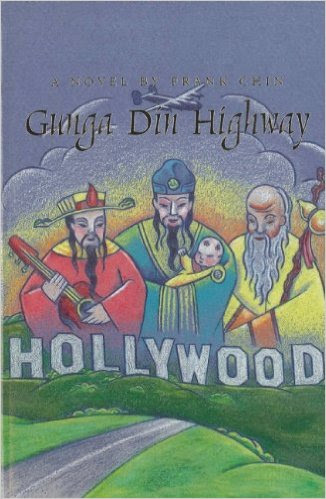 There is no way of gauging the effect of any book over it’s lifetime in Asian America. Don’t AA’s want to be aware of what they read? All the books are by authors who saw the publication of their work so urgent that they used their own money and self-published. They’ve bagged Abu Moussad al-Zarqawie, and Ehren Watada is off the news. This happens as Sen. Akaka pleads for the recognition of the Hawaiian culture being separate from loyalty to American laws and legal system derived from the U.S. Constitution. The Bill fails. If there were an AA magazine the coincidence of Ehren Watada, Japanese America, Hawaii, 442nd history, the war in Iraq and personal integrity and Akaka’s bill granting Hawaiian recognition of their culture as different from U.S. politics would be the subject of an article, an opinion, criticism, a cartoon, a novel, a play. White business took over the Hawaiian gov illegally and the US accepted the gift. The whites have their white racist reasons for subjugating the differently colored. The interest Asian-Americans have for their own kind should be reflected in their magazines. 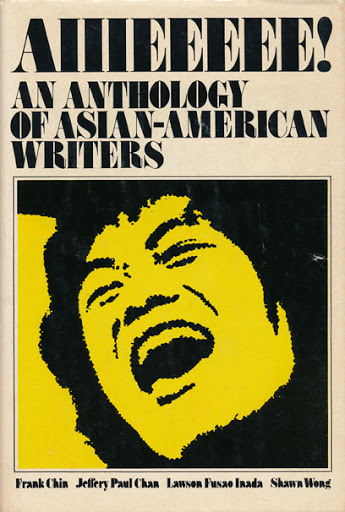 The absence of magazines and the dismissal of history from Asian American literary history seems to indicate the lack of Asian American interest in the thinking of their own kind. They are the servant people. Pleasing master counts as their reason for being. Have the Chinese Exclusion Act of 1882 and the refinement of the rhetoric turned all of Chinese and Japanese America into white man’s servants? The people that can’t sustain a cultural identity strong enough to stimulate a magazine, don’t take themselves seriously. There is no way to measure the effect of art produced by these people on the people. Or there is no effect. If there is no effect, there are no people. AA art should not be separate from AA activism. They're inseparable among every other culture that claims to be a people. Hemingway is inseparable from the Commie arguments of the Spanish Civil War he parodies in FOR WHOM THE BELL TOLLS. Those that live in glass houses, should not throw stones. Artists throw stones at themselves. The Gary Cooper like teacher that become a revolutionary explosives expert in Spain in the book, and played by Gary Cooper in the movie with Ingrid Bergman, and Hemingway were friends. Hemingway and Cooper are photographed hunting and shooting and popping by for a visit again and again. The potboiler disguised as a Hemingway novel becomes the Hemingway novel. Art and activism. Da Vinci was a believer. Michaelangelo was a believer. Goya’s belief’s raged directly off his brush and splattered just the way he saw things. The AA separation of art from activism is a bid for white acceptance through self-disintegration.